On March 4, voters in the Ohio Democratic primary will have chosen between two distinct candidates, one with years of experience on the national political stage, the other a fresh face who promises change and a bold new direction for our country. Four days after this historic battle, the Greater Cleveland PC Users Group will host a contest with a similar theme, as we debate the merits and shortcomings of Windows XP, the established veteran, and Windows Vista, the bold and controversial newcomer. haven’t captured the imagination of the American people. True, Windows XP has its flaws and limitations, but, just as many voters have put aside their concerns to support a former first lady, PC users have overwhelmingly elected to install XP over Vista on their desktops. But while the poll numbers have never been good for Vista in the home or office, the struggling operating system promises to get a boost from its sponsor, Microsoft, which has announced plans to end most sales of Windows XP by June 30 – yes, little more than 100 days from now. PC users now face a difficult choice – should they join an emerging grassroots movement to abolish the term limitation being imposed on XP, or should they prepare for and embrace the change that comes with Vista? even before the formal launch of Vista last January. 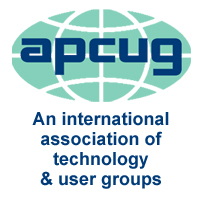 Both operating systems have vocal proponents at the GCPCUG, and while we don’t expect a clear winner to emerge at our next meeting, we do hope you’ll come away with the knowledge you need to make your own decision.